So here is my page! I am living in Meath and working for Movidius, which is now part of Intel. I am conducting research into aerial mapping techniques and using the myriad chip for 3D mapping. You can contact me at jonathanbyrn@gmail.com. My curriculum vitae is available online here and you can download a copy of my thesis here. If I can create a video of my work I will upload it to my youtube channel. I wrote a monte carlo simulation of my lawnmower to see if it would explain why I get patches of grass in one area of my garden. I am building a ESP32 based solar powered LORA transmitter for sending the weight of my beehives to me over long distances. 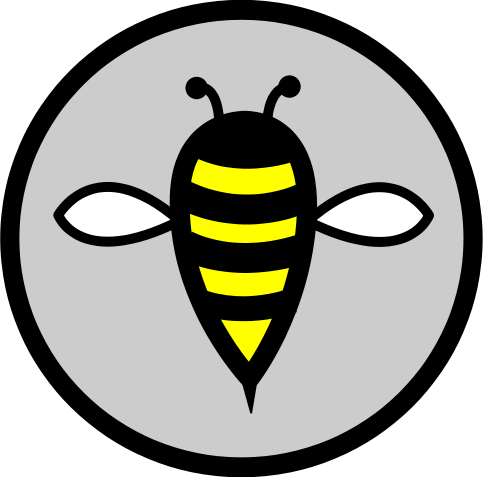 I helped get some raspberry pi based bee detector code originally developed by Matt Kelcey running on the neural compute stick . I set up a continuous integration system based on Jenkins. It brutalises the person submitting the pull request to conforming with the google style guide, a tough linting, doxygen checks to make sure all methods and variables are documented and unit test coverage. I helped develop a voxel completion technique that uses a deep NN trained on high quality data to fill in the gaps existing city scans. A classical computer vision solution to automatically build a digital archive of connectors. A classical computer vision solution for identifying particles on a slide. A raspberry pi based sound monitor that records the time and duration of sounds beyond a certain decibel level. I built a Tesla Coil! It is a OneTesla TS kit and can also play music as soon as I sort that bit out…. I ran a computational fluid dynamics simulation of my silo shed to see how it would handle a storm. A compressed volumetric format that allows for the easy transfer of 3D point cloud data across the web called VOLA. You can view it here. I am currently optimising the firmware on a Floureon H101 micro drone to allow for cheap robotics testing and mapping. A volumetric representation of 3D data that allows for massively compressed 3D maps to be store and sent across a network in realtime. A robotic lawnmower based on the Arduino microcontroller. More information can be found here. I generated a parametric pattern and laser etched it onto my laptop! A plant identification app that classifies plant images captured on your phone using a deep neural net. A rotation and noise invariant tracker to follow an object in a video feed. An opencv motion tracking algorithm hooked up to an IP camera to find out what is wandering through my garden at night. A Dublin bikes app that shows whether the stations are full or empty. A visualisation of the bike flow between stations in Dublin. A prototype hollow frame for a beehive. Normally wax mixed with paraffin is used to build a foundation frame, this can lead to disease being spread amongst different hives. The 3D printed frame is hollow to allow the bees to compose the structure of their own wax. The design was implemented using a parametric rule system to generate the rhombic dodecahedrons that make up the frame. An arduino based label winding machine. A filtering script that automatically detects trees in LIDAR data. A raspberry pi timelapse system that captures sunsets. It pulls the sunset time from an online API and starts 2 hours beforehand. It stops when it gets dark, merges the images into a movie and automatically uploads it to my dropbox. Set up an augmented reality sandbox for the civil engineering students to learn about topology and iso-lines. Developed a technique for orienting normals accurately on a city block scale point cloud. Helped set up a lasersaur laser cutter. It is not directly my project but I cannot miss the chance to play with lasers. Generating and 3D printing bespoke Catenary structures using the blender physics engine. I used the solid isotropic material with penalization (SIMP) topology optimisation algorithm to optimise three dimensional structures. These algorithms were originally considered too theoretical as the pieces could not be manufactured. Now these pieces are entirely possible with additive manufacturing approaches. I wrote a numerical model of a gene regulatory system based on the work of Wolfgang Banzhaf and Miguel Nicolau. I then wrote a distributed python framework so that it could run on UCD’s Phaeton HPC cluster. Implemented a comparison between breadth first search and the A star algorithm for solving grid mazes. I used python ncurses for the GUI. I used Poisson reconstruction to create printable, watertight models from the LIDAR data obtained by the Urban Modelling Group. I also investigated delaunay triangulation and RANSAC but the data was too noisy for these approaches. Implemented cubify a point cloud parser based on the octree datastructure. It generates solid voxel structures from point cloud data. Wrote a parser and scraper for telegram (whatsapp clone) so that I could graph the quantity and frequency of being made. Wrote a parser for converting point cloud data into a Minecraft level format. This allows me to easily explore the dataset. Wrote a program that automatically pulls point cloud data from the Kinect 1, a structured light scanner for the xbox. Wrote a program that uses the PCL library iterative closest point algorithm to align point clouds. Developed a program that pulls kinect scans from multiple angles, aligns them, and meshes them to create a full body scan. Reimplemented code for pulling a 3D model directly from the memory of a graphics card. Used for getting a 3D model from google earth. Set up a node.js server to see what it is all about. Wrote a parser to convert LAS format point clouds to a more amenable ascii PCD format. Built an FPV racing drone that uses a cc3d controller flashed with librepilot and a 4 to 1 ESC. I implemented a kalman filter for averaging the flight path of a cannon ball. Kalman filters are based on a bayesian statistical model and can fuse noisy data from multiple sources. Bi-directional Evolutionary structural optimisation is a topology optimisation algorithm, I re-implemented a 99 line piece of matlab code in python so that I could distribute the computation. Set up a postgres server for handling point cloud information, conducted speed tests against a standard mysql server and text file access. Set up a hadoop server to see if it performed any better at handling massive amounts of point cloud data. Used a PANDA based python framework for efficiently querying point cloud data. Implemented a 50 line genetic algorithm to use for teaching and a starter point for people to apply GA’s. Used the Gephi graphing library to analyse the dependencies between various packages in the debian system. Implemented an evolutionary aircraft optimiser based on OpenVSP a parametric aircraft design tool and openFOAM for the computational fluid dynamics solver. Implemented NSGA2 Multi-objective fitness function. It uses non-dominated sorting to select the fitest individuals. Performed comparisons with the SPEA2 Mutli-objective fitness function, a newer design that uses solution density when evaluating indviduals. Not much of a performance increase TBH. Implemented an Electricity pylon optimiser that uses loading trees from design specification document. This means the structure can be created just from the planned loadings automatically with no intervention from the user. Wrote a weather scraper to pull weather information from multiple sources around Ireland. Implemented a webgl interface to render wind speeds around Ireland. It is automatically updated by the webscraper every 3 hours. Wrote a script that used taskfarming to distribute jobs on Fionn, Ireland’s largest supercomputer. It greatly increases the speed of processing by pulling in additional nodes as they become free. Implemented a script that automatically extrudes 3D stl files from 2D SVG images. This allows you to automatically generate 3D printable files from images. Wrote a parser that automatically scrapes a html5 webpage and converts it to a format that it can be used with iPad presentation software. A wave spectral analyser to generate spectrum diagrams from MP3s. Re-implemented Daniel Schiffman’s shakespeare Genetic Algorithm code to allow for control of crossover. Wrote a script to control my crazyflie micro-UAV directly from python. Set up Unity to work with an Oculus Rift and imported scanned buildings into interactive environment. Created a Flight simulator for android that uses the accelerometers. A time series generator for creating periodic and chaotic time series, such as sine waves, the mackey glass time series and the logistic differential function. Implemented a Hopfield network.This is the simplest recurrent network and the training is more akin to a settling process than traditional neuronal training such as back propagation. Implemented an Echo state network, a recursively structured neural network algorithm that has been shown to exhibit histeresis (a simple form of “memory”). It is very easily trained using a single linear algebra update to minimise errors. Once it was running it could filter noisy data and predict missing input. I used a least squares solver to train the network. I coded up a photobooth program using PyGame and libgphoto. The results were displayed for 5 seconds on the screen and backed up. One nice thing was that because it was not limited to an actual booth, more people could get in the photo which made it much funnier. I laser etched my wedding invitations on plywood because they were going to charge me 500 euro for “wedding” paper. I wrote a script that parsed the names from a list to create the unique pdf files for the printer. A timelapse generator using a raspberryPi and a webcam. The intention was to do timelapses over very long time periods. This software would check the images and email me with the results each week. If the server crashed, another server would contact me. Implemented a simplified twitter clone using Flask, a python based web framework. A Delaunay triangulation algorithm in webgl and animated using points that moved according to brownian motion. DVD detector, a small daemon that would execute whenever a DVD was inserted. It would pull the relevant information from IMDB and rip the DVD to a media server that was running openelec. A simple cash register and barcode system. There was a database of products and each sale would update the database to keep track of stock. A quine is a program that outputs itself when it is executed. I wrote an e-quine, an evolutionary program that keeps mutating and rewriting itself until it finds the answer. I became obsessed with fractals for a while and I have code for generating them in Java, C, C++, and python. Autovolve is an evolutionary strategy algorithm that allows you to easily specify what you want to optimise. It saves you having to rewrite the algorithm for each specific problem. Compustat is a highly detailed database of company metrics going back 30 years. I wrote code that sanitised the data and allowed this information to be processed in parallel by multiple machine learning processes. I re-implemented a simple flight simulator in C. it used a heightmap (think of a 2d map where color relates to height) to generate the scenery. I implemented code to calculate the Sharpe ratio, a measure of return vs.volatility to evaluate the risk adjusted performance of different machine learning algorithms. I also used linear regression and windowed moving averages to examine significance in daily / monthly / annual price fluctuations. A twitter scraper that pulls down approximately 30 tweets a second. The idea was to build up a corpora of English text but the spelling was so bad it became a serious challenge to work out whether a tweet was english or not. I implemented a version of the “Imprintable Dynamic Model” as set out by Matthew Egbert. I used processing as the visual aspect of the model working was easily implemented. I implemented some simple examples of AJAX callbacks to understand how this allows you to update parts of a web page and examined how much it reduced the loading overhead. Parsimony was a natural language processor built on the NLTK toolkit. It incorporated a webscraper for generating corpora and applied unigram taggers to the data. One the words had be tagged with their implicit grammatical information, they were built into hierarchical structures that could then be queried at a basic level. The canon hack development kit allows you to access hidden features of any canon camera through a simple firmware upgrade. I used the CHDK and a script to create plant time lapses that ran over several months. This timescale is required to see the dynamic behaviour of plants. The multi-touch screen interface of an android device is perfect for interacting with swarms. Accordingly I implemented a simple swarm algorithm that the user can either attract or repulse the individuals in a swarm. I created a simple program for passing images over peer to peer wifi. The ability for android devices to create robust ad-hoc networks is very impressive and under-utilised. Alan Turing discussed morphogenesis (how an organism turns from a collection of uniform cells into a distinct shape with differentiated parts) as the interaction of two different chemical interactions far from equilibrium. 40 years later he was proved correct. I wrote code to simulate this pattern formation occuring from local interaction. I created an interactive interface for my user experiments. I have used multiple frameworks during this study for creating GUIs including wx, qt, tcltk and gtk. Python uses first class functions which allow it handle higher order functions and to easily implement function currying. This allowed me to create complex designs using a simple hierarchical grammar based on these features. We ran a summer school to introduce programming to transition year students. We used the lego mindstorms system to teach them the basics of robotics. I have used them in several projects, most recently an automated scanning system using a kinect 2 and an NXT chassis. Combining the wiimote library allows you to read information from the IR sensor. I combined this with pygame to create a simple drawing tool. Architype was a structural optimisation program that combined finite element analysis (SLFFEA) with grammatical evolution. We used it to optimise truss designs, bridge designs and electricity pylons. Tetragen was a design optimiser that generated shapes from tetrahedrons. While it was capable of generating very complex shapes, the fitness function could not make it generate efficient designs. A PHP based online survey. This allowed me to conduct experiments online which greatly increased the sample size and to automate the data gathering process. A haskell implementation of grammatical evolution. Haskell is a purely functional language and is difficult to initially get your head around. It allows you to write incredibly succinct programs and was a very valuable learning experience. I wrote an evolutionary A.I. for the game toribash. The game has a Lua scripting engine implemented for developing plugins so I rewrote grammatical evolution in Lua. I ended up writing an A.I. that played the game better than I did! I have written 500+ scripts for graphing, plotting, statistically analysing, and visualising in a variety of languages. My favorites are the python library matplotlib and R.